Real-World G-Lab is an individual project in the framework of the German-Lab initiative funded by the German Ministry of Education and Research (BMBF) and explores the integration of embedded computing platforms such as wireless sensors and sensor networks into a Future Internet, resulting in an Internet of Things (IoT). The objective of the project is to provide an experimental facility for IoT research, to design fundemental services for the IoT such as discovery, search, or management, and finally to realize several proof-on-concept applications using this infrastructure. 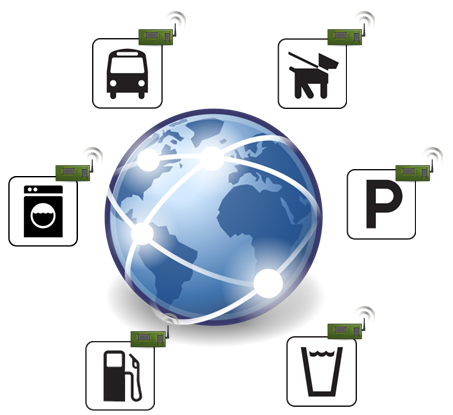 Our group is working on novel algorithms and protocols to support real-time search for real-world entities that exhibit a certain state at the time of the query; as well as concepts and tools to supports monitoring and management of the IoT while minimizing the consumption of resources and energy.